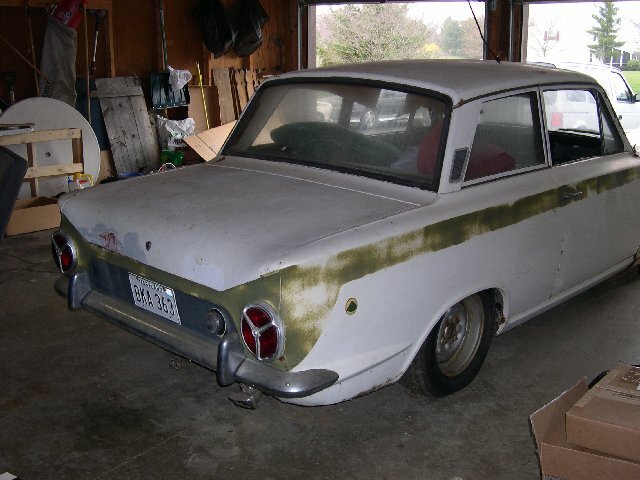 I am moving and I have to sell a 1966 Mark I Lotus Cortina soon. 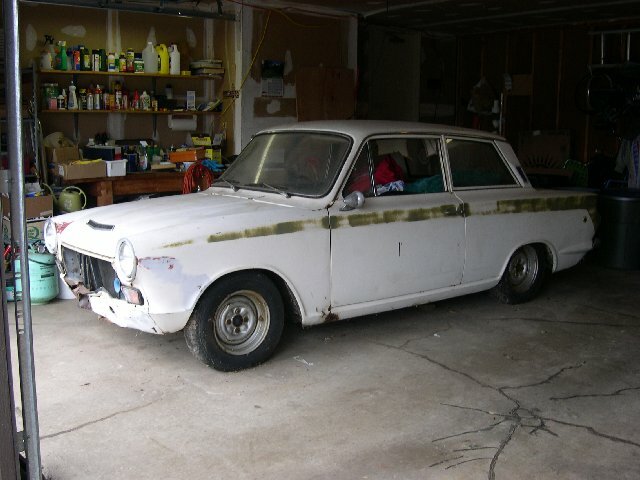 This is a Lotus Cortina, BA74FT59332, in ruff shape minus the twin cam but the rest is mostly original. 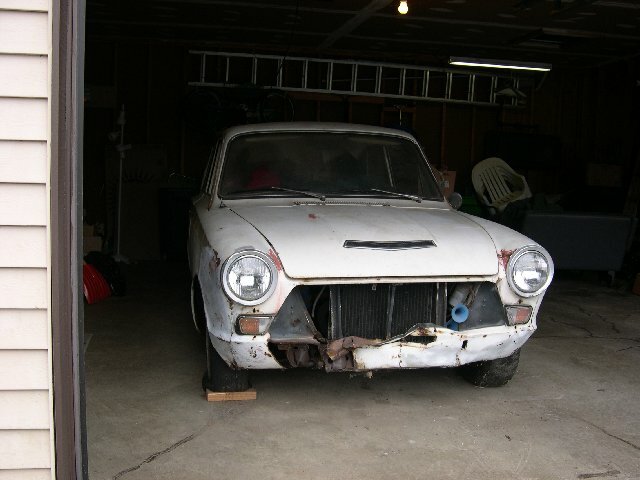 It has front body damage under the grill and all the usual rust spots. 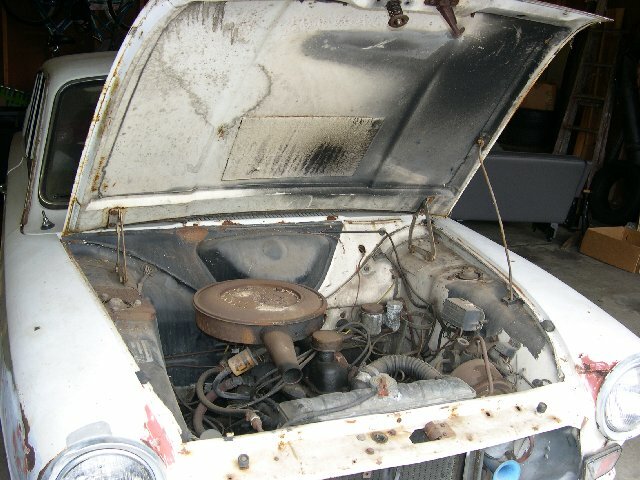 It has a 1969 GT crossflow motor and transmission installed but has not run for many years. 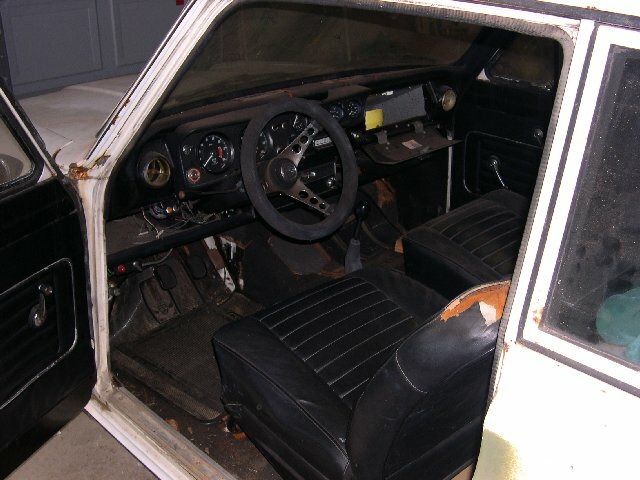 I have the original trans, a spare diff plus other spare parts go with it.